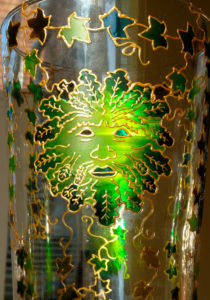 Crafty Dog Designs Cymru craft a wide range of hand-made artisan glassware from new and recycled glass. Crafty Dog Books Cymru is a small publishing company based in Clydach in the Swansea Valley, Wales, UK. 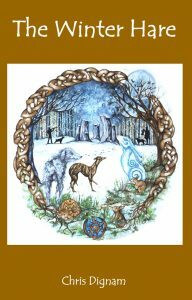 The new book – The Winter Hare – is available now! See our Books page. 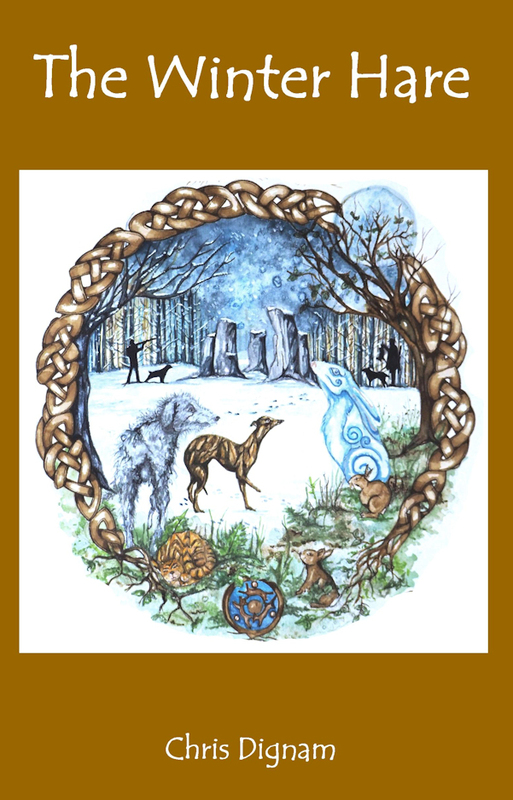 If you like original, limited edition artwork, we have a range of signed and framed photographs of landscapes, castles and abbeys, stone circles, wildlife – all with that Crafty Dog touch. Check out these wonderful images. Who are Crafty Dog Cymru? We are a small business based in Swansea, South Wales, UK. We began in 2010 hand painting glassware (lanterns and suncatchers) to sell at a local Craft Market and things just grew from there. This was Crafty Dog Designs. 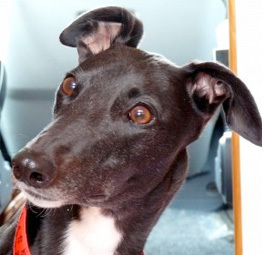 The name came from our involvement with greyhound rescue where we first got the bug for meeting people and selling at greyhound jumble sales and fundraising at street collections. When we needed a name and logo for our craft business, what could be better than the Crafty Dog – a greyhound in an artist’s beret. “Cymru” is the Welsh name for Wales which we added not to confuse us with a Crafty Dog business in the USA. A glut of Chilli’s in the greenhouse led to Mrs Crafty Dog producing the now legendary Hot Chilli Jam, the first batch of 12 jars of which we sold and never even tasted! From this the second part of the business, Crafty Dog Preserves was born. We now supply shops as well as the occasional craft fair and have a range of over 20 jams, chutneys and marmalades,(depending on the season) all still handmade in Swansea. It’s the 2nd in the Largest Rabbit series; it can be read as a follow-on or as a story in its own. Age 8 – 80! Check it out on our Crafty Dog Books page Here! A short article in the Greyhound Rescue Wales magazine grew into a short story then a book, telling of our rescued hounds as well as our foster dogs. We learned a lot of invaluable information we felt we could pass on to other dog owners or prospective foster-parents, as well as telling a story with laughs and tears along the way. After publishing on Amazon Kindle, such was the public response that Mr Crafty Dog decided to take the plunge and start a publishing company for this book but also for any first time authors who want to take a step into the world of niche publishing. 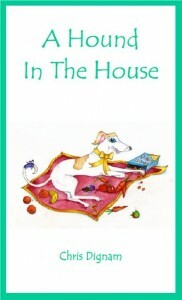 The first book, A Hound in the House is available from this website as well as from bookshops across South Wales and the internet. Our first children’s book is called The Largest Rabbit. It is both delightful and funny and introduces many fabulous characters. 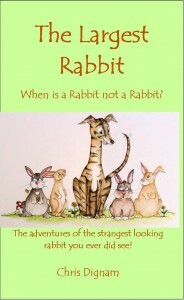 It is the first book in the “Largest Rabbit/Rubbish the Rabbit Hound” series. Well that’ll be our Penny. She is our mascot and company Director. 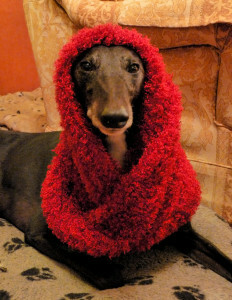 Who says it’s a dogs life – see her blog and see how a rescued greyhound lives these days!